Just letting you know that over at Jae’s other blog, she has a competition running where you can win some classic old films like Casablanca on DVD and Blu Ray. Scoot on over here to enter, it’s easy peasy. 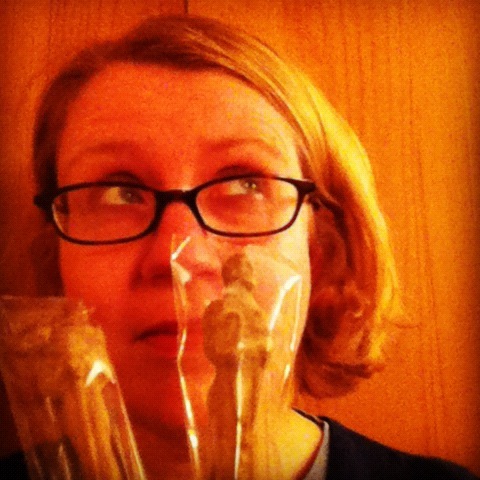 that the package also contained two chocolate Oscar lollypops. She’s not giving them away as a prize. In fact they haven’t been mentioned at all since they arrived in our house. What could possibly have happened to them? I know the head fell off one. Where could it be now? March 12, 2012. Tags: competition, easy peasy, movies, Oscars. Stuff we love.